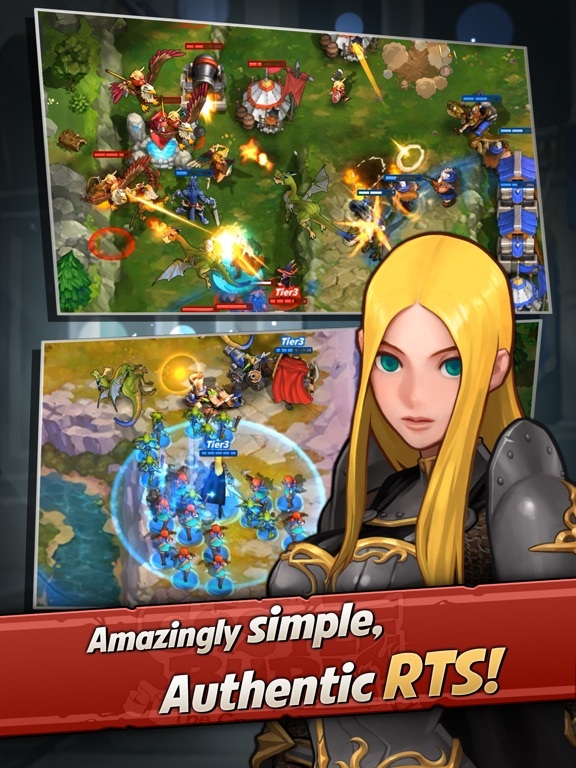 Authentic and fresh RTS - The game you have been looking for! Amazingly simple! 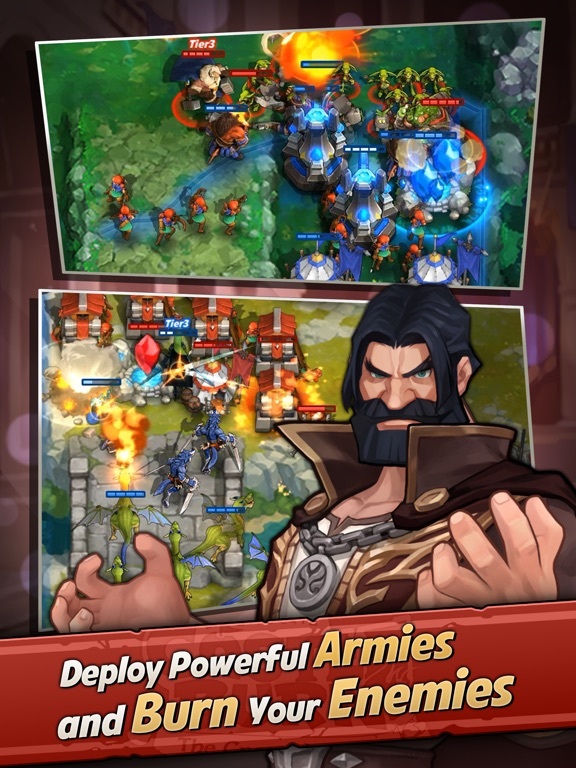 Command your Hero and army, and take the Crown! Welcome to the world of Castle Burn, a real-time strategy game set in a land of fantasy where you face off against others in PvP combat! You want magic, towers, Vikings, and dragons? We've got 'em all! 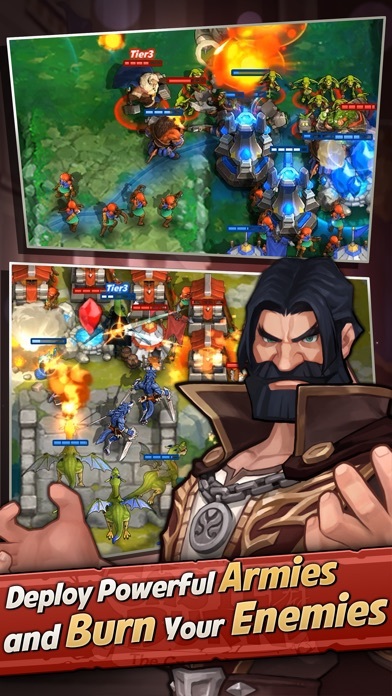 Lead your heroes' to victory and burn your rivals' castles to the ground! In Castle Burn, you will become master of your own army and lead your troops into battle against others in the Crown League. Construct camps and mana sanctums as you expand your territory, and utilize all the cards in your hand to eliminate those who stand between you and the crown! You say you've never played a game like this before? Not to worry! Anyone can come out on top in the league and claim the throne for their own! Expand your strategic options by upgrading your castle's tier! 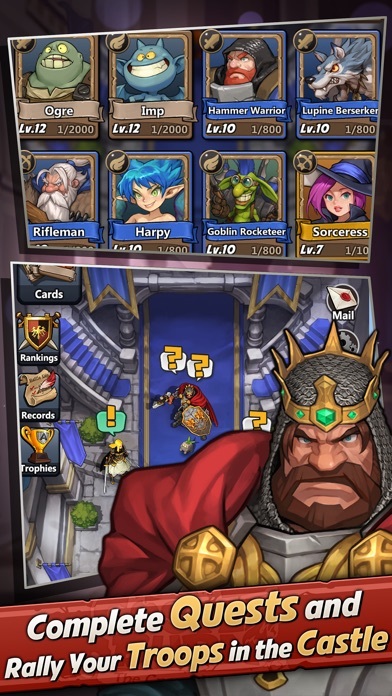 Once you add a second and fourth card to your deck, your castle's upgrade will begin and you'll be able to add even higher tier cards to destroy your opponents with! Use your hero to turn the tide of battle in your favor! Each hero possess unique skills that increase in strength each time your castle is upgraded. Although heroes are already strong by themselves, they really shine when used in conjunction with other units. Learn the specific attributes of each hero so you can better utilize your own while more easily defeating the enemy's hero! 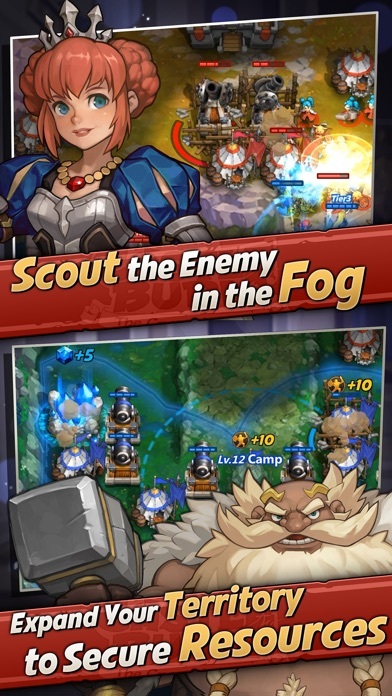 Track down your enemy in the fog! 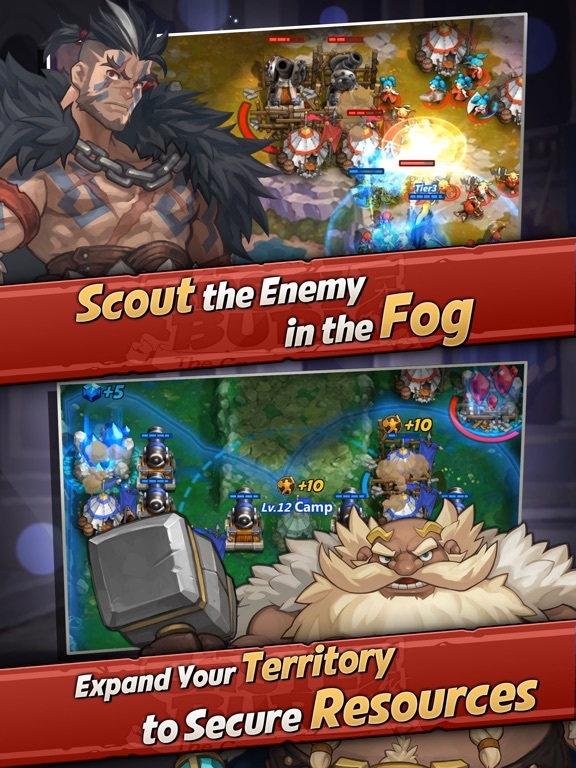 Scouting the map is essential to prepare yourself for your opponent's attacks. You can use the Return command to call your units and hero back to your castle. 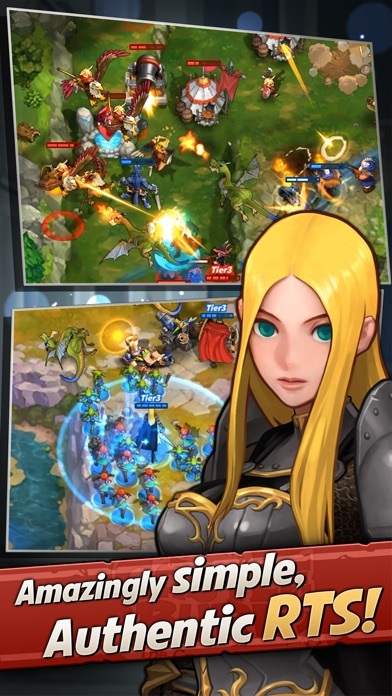 Units will return a portion of the cost used to deploy them, and heroes will begin to recover HP. You can always cancel your units' return before they reach the castle, so don't be afraid to use it to keep your army safe while scouting. Win ranked matches to advance to higher leagues! 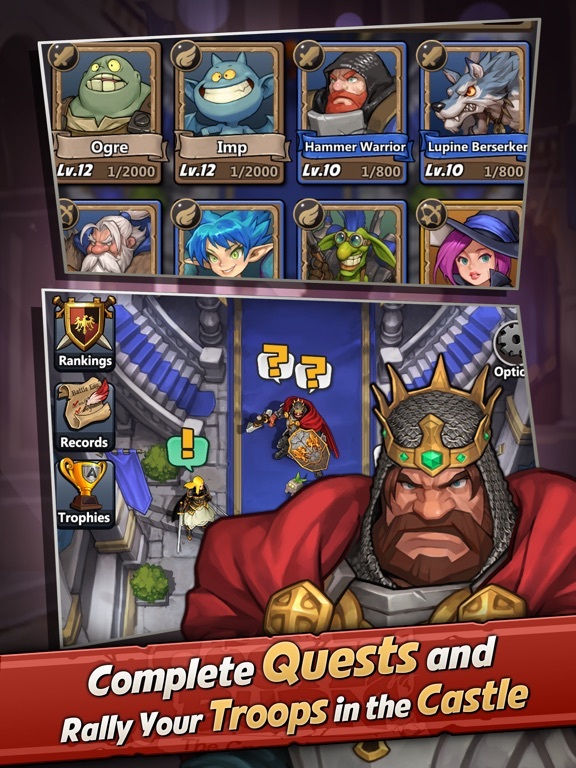 As you do, you will obtain Crown Points, as well as new cards and maps! At the end of each season, you will receive rewards based on the league you made it to. If you ever think you need more practice, you can always join casual matches, where you won't lose any Crown Points, or try some training against the game's AI. Keep track of your battle log! Your most recent records are saved in the Battle Records menu. You can watch replays to study up on opponents' strategies and come up with ideas for your next battle. You can also view the battle records of the top 100 players and others in your league via the Rankings menu. Develop advanced strategies by taking notes on what others are doing well and examining your own performance! New heroine Scarlet and 3 new units are now officially available. More ways to obtain keys for Card Packs and enhanced rewards for achievements. Other Apps by Bluehole PNIX, Inc.